As dawn broke on a cold winter day in January of 2003, a 44-year-old Chicago Transit Authority rapid-transit train car slowly made its way into the Smithsonian Institution’s National Museum of American History in Washington, D.C. 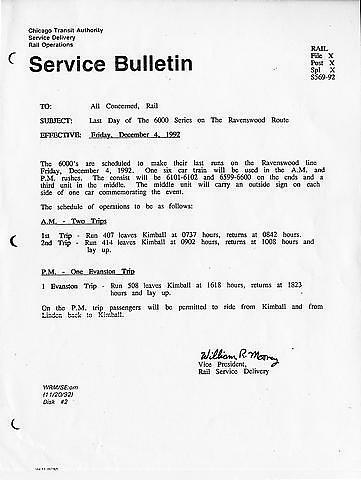 This is 6719’s story, from its delivery to the Chicago Transit Authority on July 22, 1959, to its last ride on January 7, 2003. 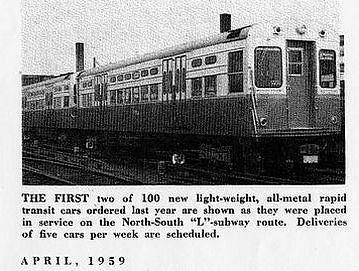 The Chicago Transit Authority modernized its fleet of rapid transit “L” cars throughout the 1950s with the staggered delivery of over 700 new railcars. Car 6719 was one of the last of over 700 steel-and-aluminum-bodied 6000-series rapid-transit train cars built by the St. Louis Car Company for the Chicago Transit Authority throughout the 1950s. When new, the car featured a colorful Croydon Cream, Swamp Holly Orange, and Colorado Spruce Green exterior paint scheme. 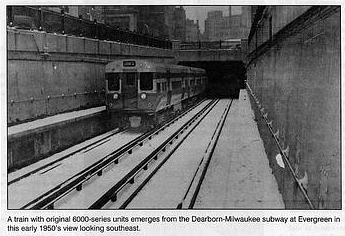 The 6000-series “L” cars ran throughout the CTA’s rapid-transit system for about 40 years. The last of these workhorses was taken out of revenue service in 1992. 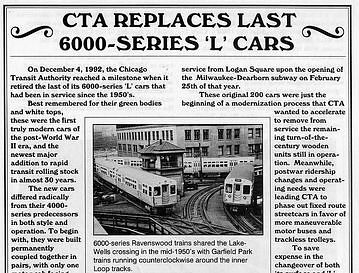 After being taken out of revenue service, a handful of 6000s and similar “L” cars were used as work trains by the CTA in the 1990s. But by the end of the decade, the cars were no longer needed and were sitting in a CTA railyard, covered with graffiti and awaiting their fate. Once the paint dried, the car was shrink-wrapped in plastic to protect it during its 350-mile journey from Hornell, New York, to Washington, D.C. In December of 1999, the Smithsonian’s National Museum of American History purchased CTA car 6719 for its scrap value to be displayed in the planned transportion exhibition, America on the Move. After the Smithsonian purchased CTA car 6719 from the transit agency, it was stored at the National Park Service’s Steamtown National Historic Site in Scranton, Pennsylvania, while the Museum went about the task of deciding how best to use the car in the America on the Move exhibition. 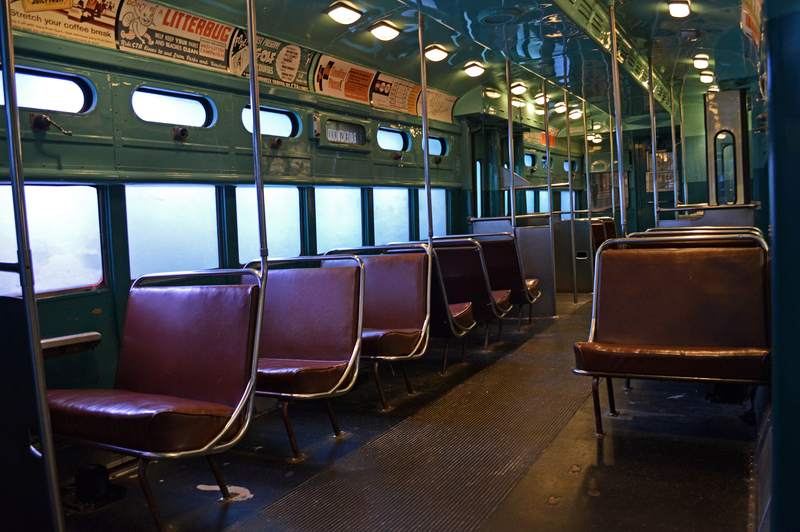 Conversations with transit experts and historians—particularly Bruce Moffat, an expert in Chicago “L” history—steered us toward the decision to restore 6719 to its original condition and to set the car in 1950s Chicago. 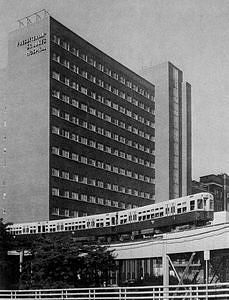 This would allow us to examine the great challenges facing the Chicago Transit Authority in the decade after its formation, as well as big transportation issues facing America’s postwar cities as Americans took to their cars. In 2002, transit car manufacturer Alstom Transport in Hornell, New York, offered to donate the work necessary to restore 6719 to its original paint scheme inside and out. 6719 was brought to the Museum on a trailer by Silk Road Transport, a specialized transit hauler. Oversize-load restrictions meant that the car had to travel over city streb ets between midnight and 6 a.m. Under the cover of darkness, 6719 arrived at the Museum, and its protective shrink-wrapping was removed. At daybreak, 6719 backed through the giant doorway, into the Museum’s Transportation Hall. Moving 6719 into the Museum was a lengthy process, about 7 hours from the time the car rolled onto the Museum grounds to when it was set in place. Car 6719 is placed in its permanent home. 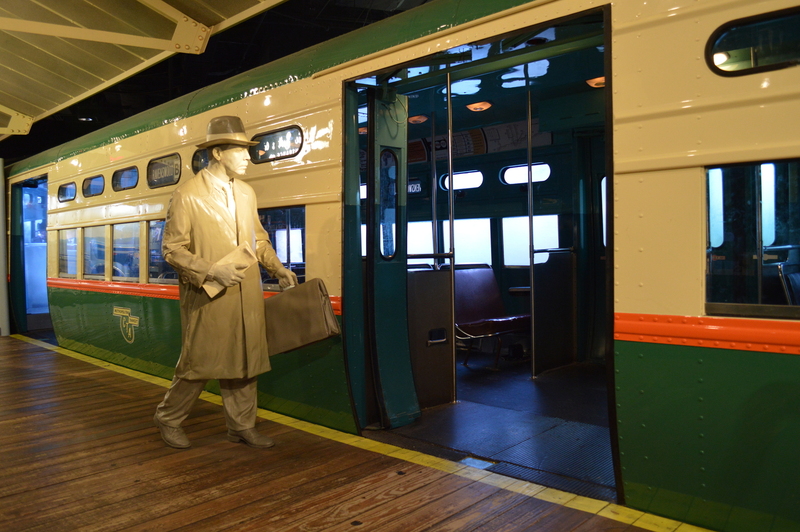 A re-creation of the CTA’s historic Madison and Wabash Loop “L” station has been constructed around the car, and a complex audiovisual program has been installed in and around it, allowing exhibition visitors to take a virtual trip around Chicago’s elevated transit line in 1959. Chicago Transit Authority car # 6719 is a rapid transit rail car made by the St. Louis Car Company in 1959, and delivered to the Chicago Transit Authority July 22, 1959. CTA car 6719 was in revenue operation for about 30 years, then used as a work train by CTA for a number of years. The National Museum of American History purchased the car at scrap valuation in December 1999 for the America on the Move Exhibit. Car 6719 is the "A" car of a permanently coupled pair and contains the motorman's cab.